Combining two of my most favourite elements, the ocean and fantasy, has certainly not put this author in an easy spot with me as a reader. My expectations were really high. The author’s fascination with sealife is obvious, and it is intriguing how she intertwines it with the dragon world. There is so much lovely detail in the descriptions, and almost a science to it. I enjoyed the author’s comparison of the daily rituals of sea and dragon life with the human perspective. In fact, most of the story can be taken as a metaphor to our world, even the environmental issues, conflict and the importance of stories for the growth of a species. Although there are absolutely no human characters in this story (which took some time for me to get used to), all the characters and their relationships are developed well, with lots of love and respect. The weather threats and action sequences are intense, but it is the life described that I particularly enjoyed. This entire world has been created with amazing consistency and attention to detail. The admirable symbiosys of skills from completely different creatures, shows us how humans should learn, united by a common goal – life on this planet. And how interesting it is that the author has both species celebrate and encourage art, creativity and healing, in contrast to humans! Dreamers they are, truly. Any child or adult who loves to explore and go on nature adventures, will thoroughly enjoy comparing this fantasy world to nature lessons at school. Teachers could find it useful in dealing with biology, environment, even art. If your child has the heart of a zoologist, oceanologist, artist, and is a fantasy fan, this book might just be perfect for them. What I especially liked in the story is the strong emphasis on learning and communication – each species can learn from another when willing to communicate. Here is an interesting quote, one I wish we could implement to human life more often. How far would you go in search of your dreams? Winky goes farther than he’s ever been and finds more than he’s expected! Isn’t it an amazing feeling when you discover a new author whose books you eagerly await every time they are announced? 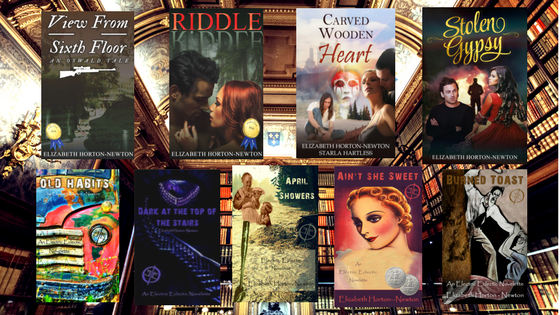 Elizabeth H. Newton is one of my favourite authors, with her panache for political and psychological thrillers (View from the Sixth Floor and Riddle) and eerie horrors (check out her tales in Ghostly Writes Anthologies, Dark Awethologies, Electric Eclectic novelettes, Twisted Tales, Crooked Tales, an array of stories for the Gems collection, etc. ), with a touch of sensual erotica (Carved Wooden Heart), and so on. This prolific author has just released a spectacularly intense thriller Stolen Gypsy, which follows the unimaginably turbulent change which occurs in her life after her parents’ accident. It kept me up all night, because her characters lured me into their world and had me rooting for them all the way, my head dizzy from the plots and emotions. Movie-like action scenes and intricate relationships, with past mysteries and future hopes all resting on the cliffhanger of resolving the true identity of the main character. Nail-biting, I’m telling you. So, naughty me, I came begging for an interview even before I’d written a so-well deserved review for this phenomenal book, and the lady agreed! 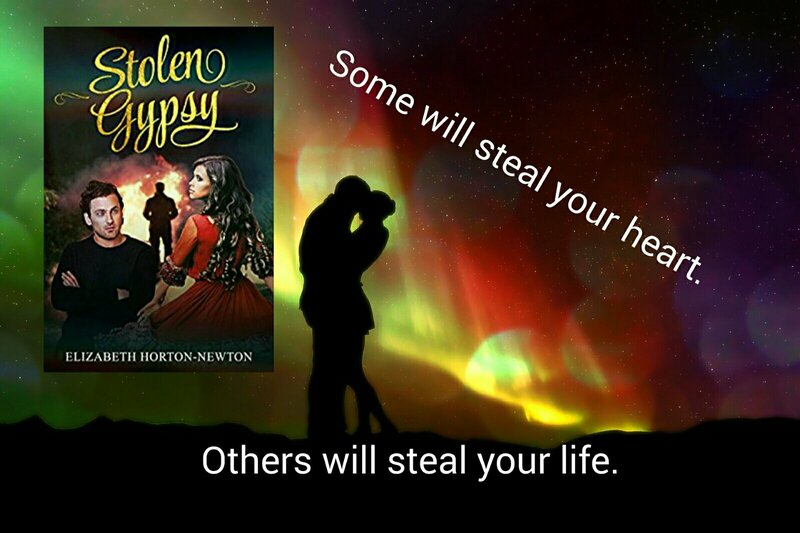 So today – feast your eyes on this interview, and then run to get your copy of Stolen Gypsy (or any other book by Elizabeth Horton Newton) and make your weekend an adventure. 1.Your latest novel Stolen Gypsy is out. Has it been inspired by a real event? Can you remember which section, scene or character first came to your mind? Stolen Gypsy was actually inspired by a dream I had about gypsies. The first scene that came to me actually turned out to be the first scene in the book. I saw the kids looking out the window of the classroom and smoke in the distance. How often do people see something like that or see an accident and not realize it’s someone they know. I was thinking about the exact same thing – you see something like that and have no idea it’s about someone you know. Nobody ever thinks it’s about them. 2. Terza is such an unusual name, but perfect for such an unusual heroine. What gave you the idea for the name? Terza is an entirely made up name. I researched gypsy female names and couldn’t find one that lit up for me. So I made one up. Do you like it? Yes, I love the name Terza. What do you most love about Terza as a character? What I love most about Terza is both her adaptability and her passion. She is one tough kid. I worried I was making her too strong. Although she cries easily she doesn’t give up. Yes, Terza cries, and yet shows strength and stubborness. She must have been tricky to write, just on the verge of switching from teenager to woman. 3. Your novels often deal with a social issue such as domestic abuse, poverty, prejudice. This one seems to encompass so many issues on a huge number of levels. Did you have any idea the plot would develop so intricately and grow to such large scale when you started writing it? I had no clue at all where this was going. I was fascinated with the gypsy aspect and the Witness protection program but initially wasn’t certain how they would gel. The drug cartel and the unwed mothers were only a couple of surprises for me. 4. By now, having reading your books and short stories, I have to say your collection of characters is quite something. Could you tell us what you love about some of your previous characters, and especially the ones from Stolen Gypsy? My favorite character in Stolen Gypsy is Peter McCray. He has great instincts about people, can be tough but gentle when needed, and he has a sense of humor. My favorite character from all of my books and stories is Gaunt Thibideaux from Old Habits. He is complex and dark but on the surface everyone loves him. My favorite female character is Olivia Roberts from View From the Sixth Floor. She starts out as a sweet southern senior and as the story progresses she gets tougher and stronger. I think all my female characters do in a way. I believe that’s true of many women. We are ready and able to step up and do whatever is necessary to care for ourselves and those we love. 5. Has your writing changed with each novel, or better yet – what has changed and what has stayed at the core of your writing? Hmm that’s a tough one. I think my desire to tackle serious issues while building a story that is compelling has stayed the same. I still write most of a story in my head and sort of see it before sitting down to write. I am still surprised by some of the twists my stories take. I often have those ah ha moments where I think “oh I didn’t see that coming”. 6. 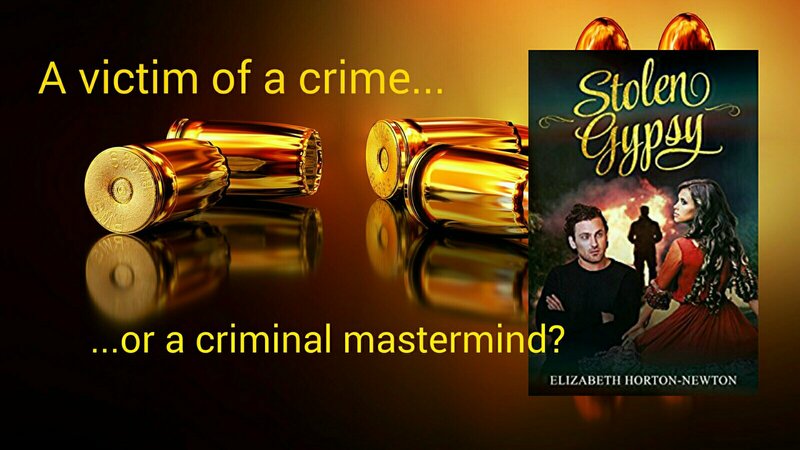 Stolen Gypsy has quite a few legal subplots and the criminal scene is quite tricky to write. How did you do the research? I am a huge fan of court shows and cases. As part of my volunteer work with a local domestic violence group I’ve been to court many times. Besides I love research. 7. While researching the Gypsy and Rom differences, what details surprised you? I had no idea there was such diversity within the gypsy cultures. It was fascinating to learn the various customs. I had to pretty much pick and choose what to add to the story without overwhelming the reader. 8. Your action scenes are movie-like. How difficult is it to write them? 9. The relationship between Terza and Devlin develops from a chance meeting to an epic scale. Did you enjoy slipping in the little details which pointed them in the way they should go? (Trying to avoid spoilers in my questions;). I had a difficult time writing those parts. I kept wanting to rush them along, take them farther. But it isn’t that kind of a story. It was one of the few times I pulled out graphic parts and rewrote them. I guess I’m too lusty for teen relationships. 10. Have you met a Nora in your life? She only seems like a side character, and then turns out to be a person deserving her own novel. Nora could have her own book. She’s extremely complex. Like Tristan she has a big heart. But I feel she was overshadowed by her prettier younger sister. It gave her a darker side that can erupt. I don’t think everything she does is done out of kindness. That’s what I liked about her, in my own twisted way;) – she makes stupid decisions out of pride and vanity, but deep down she is not a bad person so she spends her life trying to make up for them before she admits to them. It makes her real, human. 11. By now this may seem like a typical question, but if this book became a movie, who would you like to work with on it? From the cast to the crew, even the musical score? Tristan is easy. It’s a toss up between Cillian Murphy or Jonathan Rhys-Myers. Music by James Newton Howard hands down. Elizabeth Moss as Nora. Peter would be either Cillian or JRM and Dakota Fanning as Terza. Andreas is the biggest challenge. I’d love Sir Anthony Hopkins but I think it’s simply because I love him. I’d like Ron Howard to direct I think. But I’m fairly flexible there. 12. How does this novel compare to the things your previously wrote? How do you feel about it and what do initial reviews say? Would you say you have risked more? I think Stolen is like View in some ways, the younger version of Olivia & Bill. It has action like View. And of course obnoxious FBI agents. The initial reviews are very positive. I was pleased that a male reviewer commented on the action sequence with the cartel. If I can get a man to appreciate the gun fight I’ve done something right. My biggest risk with Stolen was injecting Rom dialogue. I tried it in English but it didn’t feel right. 13. When you are a reader, how do you pick a book? I love horror and historical stories. I also enjoy true crime. Big surprise, huh? Usually I read the blurb and decide from there. Sometimes I am attracted to a cover. Of course I have favorite authors. If I see a book by Stephen King or Joe Hill, I grab it. 14. Would you say people read less nowadays and why? I don’t know if they read less or simply prefer short stories, magazines, and newspapers. People seem to be hurried these days. However if you give readers a good story they will read it. If they really like it, they will talk about it and others will read it too. 15. Any new surprises planned for us fans in the future from you or the Crazy Writer Couple, you and Neil (Douglas Newton)? I’m finishing up the first draft of my next book. Blood on Murder Highway is loosely based on a highway in British Columbia where a large number of First Nations women have gone missing or been found murdered. It’s an exceptionally graphic serial killer story. As far as the Crazy Writer Couple, we’re still working on the first book in our series, Fungi Fandango. Since we have individual projects it’s difficult to find time for our joint work. 16. Thank you very much for your time, Elizabeth. I’d better go write that review for your book, or else I might become a victim in your next book. * Just kidding. Any messages for the readers? Thank you so much for taking the time to interview me. 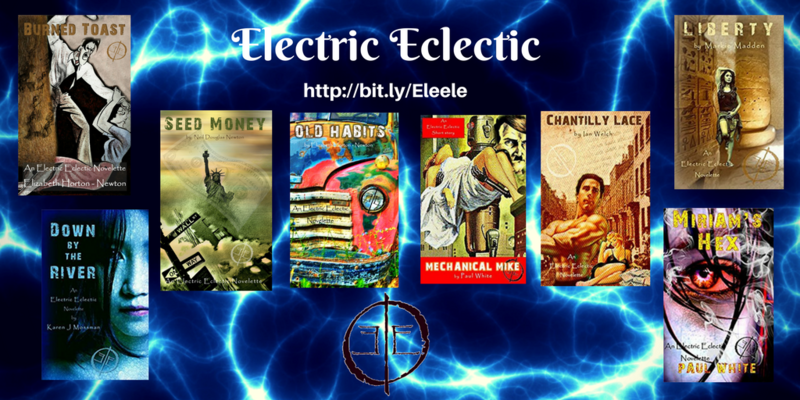 If I may, I’d like to let readers know I have some more novelettes coming out through Electric Eclectic Books and a short story in a Stab in the Dark anthology. Also I’m planning a contest where the winner get a Kindle loaded with my books. I’m not certain when, maybe when my next book is released. Wow, what a ride! This is by no means the first thriller I’ve read by Elizabeth Horton Newton, nor will it be the last. Do not expect any spoilers from this review, or me retelling the events! Just grab it and read it. It’s worth it! When you read an action thriller and feel breathless, as if you’ve just been there or at least watched it in a fabulous 3D cinema, that’s just perfection. This one had me biting my nails, staying up all night to get to the bottom of all plots and subplots, on the edge of my seat wondering what would happen to my favourite characters. Much as I loved the villains in Riddle and Old Habits, I love, love, love the heroes and heroines of this book! Young Terza is adorable, just on the verge between a teenager and a woman, thrown into life’s adversity which forms her faster than she’d ever hoped. Tristan is strong, charming and supportive, and the balance Newton achieves between the two of them, and in developing their relationship, is wonderfully intertwined with the entire plot, filled with social issues, political intrigue and the criminal millieu. McCray and Nora, including Vanessa and the girls from Nora’s haven, they all paint a strong setting in which each detail makes a difference. Feel like wandering into a breathlessly intense action story, with a fantastic couple at the centre and mind-blowing intrigue surrounding them? Grab this one. Pondered for a while whether I should publish this. So before you begin reading know this – it is not complaining. It is explaining. Being an independent author has its advantages, as well as disadvantages, just like any other job, I suppose. To be honest, I am not sure if I would have wanted to know about some of the disadvantages before venturing into (self-) publishing. For instance, if I had known how much financing it requires to be able to properly package and promote your work, I would probably have nevet dared to go into it. That would have been a shame, because I would never have met tons of wonderful authors and book supporters, or proven to myself that my books can actually be real books, no matter how many people like them. As a reader and an author, I have discovered how seriously misguided many people are about authors, especially self-published, independent authors. Let me just share a few I have encountered, and do share your views in the comments, whether you are a reader or writer yourself. Although I am sure there are plenty more misconceptions such as these, I have decided to list the ones I have come into contact with. Questions such as: “You’re an author? Are you famous?” and “So how rich are you?” used to be shocking; now they are just funny and slightly annoying. Especially when they are asked before even inquiring about what I write and where one might read a sample of my book. Lines such as “You should put your books in bookshops, libraries, schools and give them away.” … well, they make me sad. Why? Apart from all the points above, it takes time to write a book. It takes heart. It takes time to draw illustrations. It takes effort and resources to create a cover. But most of all, it takes gutts to put your thoughts out there, open for all comments. It takes a dream. You don’t just give that away. Or give it all up. essay my books Uncategorized what bugs you? Well, there it is – I have managed to combine my two professional loves, both not really known in my life as big money-makers:) – teaching and writing. Perhaps two minuses can make a plus, huh? Just kidding. As the note says, this is the rough draft which I will soon be typing into the plan, proofreading and sending off to some beta readers. As for the teaching method described, it refers to a little mindset I have devised for myself and shared with colleagues. I know it works because it has served me well these last two decades, from the micro to macro lesson planning, and thinking about learning and teaching in general. Looking forward to revisions and edits, and all the little ‘bloopers’ I probably let slip. Ta-ta for now!